We all love our beds. They are generally considered the most safe and comfortable places in the world. You’d be hard pressed to find an individual who doesn’t thoroughly enjoy the warmth and comfort of his/her bed at the end of a long day. Beds are synonymous with rest and relaxation. However, as we age, our beds can actually present some dangers. What could possibly make a bed dangerous to an elderly person? Well, let’s first consider the fact that older individuals with mobility issues obviously experience greater difficulty than the rest of us with getting around. Naturally, difficulties may also arise when it comes to getting in and out of bed. Therefore, the height of one’s bed must be considered. If it is too high, falling out of bed can be a concern. What else should be done to keep seniors safe in the bedroom? All tripping hazards should be removed. Bedrooms are notorious for having things thrown on the floor clothes especially. Ensuring that there is nothing blocking the path of a senior with mobility issues will help to keep him/her upright. As well, it’s important to ensure that the floor presents a slip-free walkway. That entails removing throw rugs, ensuring that carpeting is secure and placing non-slip mats in necessary areas. How can beds be made safer? 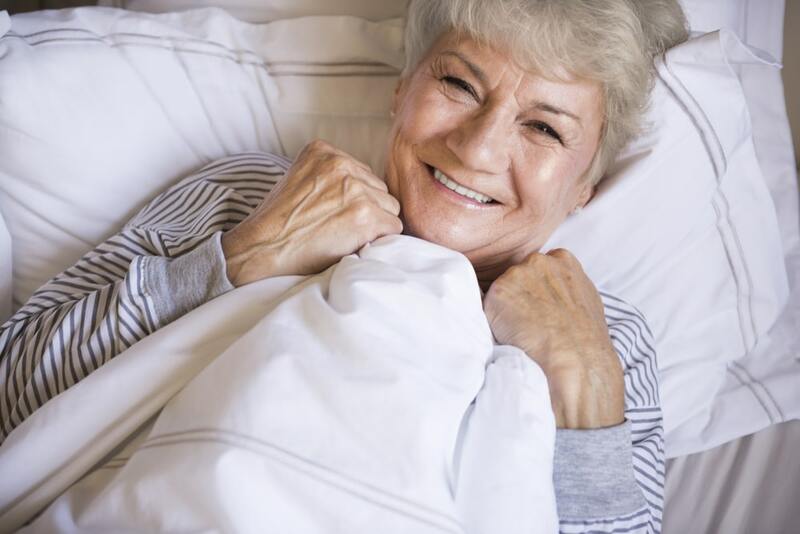 At Advantage Home Health Solutions, we offer bed rails and M-rails to help our clients transform their beds back into the safe and comfortable places of rest that they were designed to be. They help to eliminate the risk of falling out of bed, providing peace of mind that allows for more restful sleeps. If you have any questions about the bedroom accessibility options that we have to offer, please don’t hesitate to contact us to ask them. Give us a call at 403-460-5438. You may also email us by filling out the form on our Contact Us page!